Potential recruits tested their physical preparedness for the academy at last week's Run With Your Recruiter. Do you want to try? 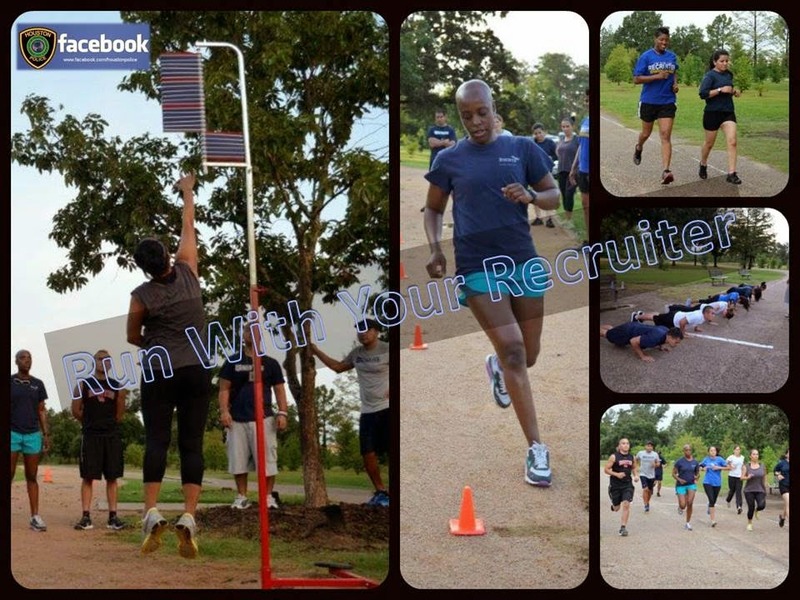 Our next Run With Your Recruiter event is Friday, August 15 at Memorial Park (across from the tennis courts) at 6:30 am. Email runwithyourrecruiter@gmail.com to register. Go to www.hpdcareer.com for more information or call the Recruiting Division at 713-308-1300 or (800) 252-0473.